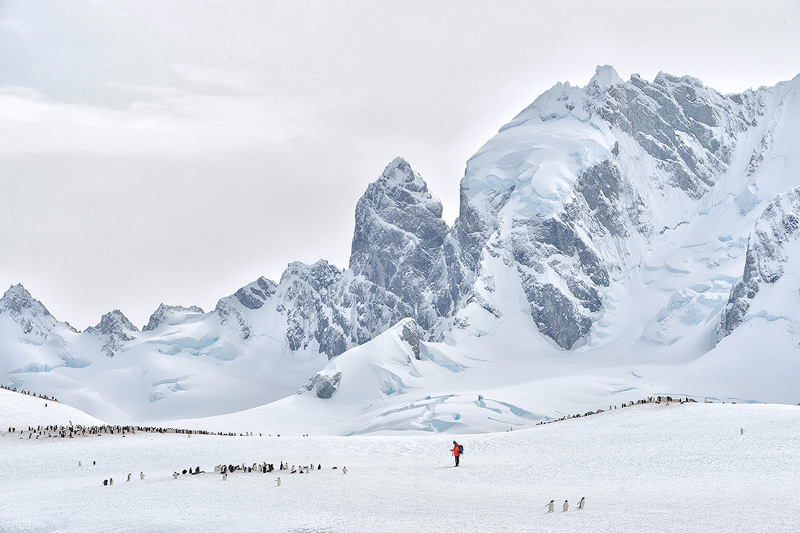 This was shot on one of my many visits to Antarctica, and it shows exactly what I love about it so much - spectacular landscapes and extremely relaxed wildlife. The person standing there in fashionable red is my friend Frieda, a German biologist and geologist. In my work I like to use people and animals to give scale to the landscape, and this was the perfect setting for it.